The following is an overview of human rights violations in Iran on December 19th, 2018 based on the information compiled and verified by Human Rights Activists News Agency (HRANA). 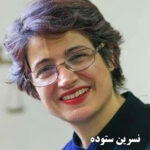 (1) Nasrin Sotoudeh, the jailed human rights lawyer, who was sentence to five years imprisonment earlier this year, will face prosecution on her new charges on December 23. Also, Nader Fatourehchi confirmed that he faced persecution over his criticism of prison conditions after his detention in Fashafoyeh Prison. His court day will be on December 23, 2018. (2) More than four protests were held in Iran. Workers of Zanjan Bus Company, retired teachers and the education personnel of Kermanshah, and participants of entrance exam at Medical Branch of Islamic Azad University held protests on December 19, 2018. (3) Iranian Parliament Committee on Culture requested investigation and additional information from Judiciary and intelligence department about Vahid Sayadi Nasiri, the imprisoned Iranian activist who died after a 60-day hunger strike. (4) Siamak Namazi and Baquer Namazi ‘s appeals were denied. Siamak was sentenced to 10 years in prison for collaborating with a foreign government. Baquer who was a governor before the revolution is suffering from heart disease. (5) A theatrical performance was canceled in Islamic Azad University of Quchan because of a mixed-gender play on the scene. (6) On December 19, 2018, 11 detained workers of Iranian National Steel Industrial Group in Ahvaz were released on bail. Their names are the following: Seyed Habib Tabatabaei, Javad Gholami, Mohsen Baloti, Mehdi Tahmasbi, Kourosh Esmaeili, Ali Emami, Abdolreza Dasti, Sohrab Naami, Hossein Asakereh, Fariborz Sheikhrobat, and Seyed Ali Javadpour. On December 16, more than 43 workers of Iranian National Steel Industrial Group in Ahvaz had been arrested. (7) City service workers of Borujerd have nine months of unpaid wages. Borujerd is a city in Lorestan province. 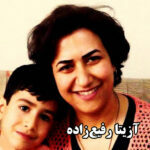 (8) Mohammad Mehdi Zamanzadeh,an internet activist, was temporary released from jail. Zamanzadeh, Mohammad Mohajer and Alireza Tavakoli were arrested in September 2018 and have been sentenced to five years imprisonment being accused of blasphemy related charges. (9) Mehran Zahrakar is a detained author who is serving his two years sentence on charge with ‘insulting supreme leader’. He has been published several socio-political books. (10) Shaho Sadeghi, a labor activist who was accused of ‘propaganda against the state’ for participating in International Workers’ Day protest, began serving his sentence on December 19,2018. The following is an overview of human rights violations in Iran on December 18th, 2018 based on the information compiled and verified by Human Rights Activists News Agency (HRANA). (1) On December 17th, 2018 in the National Steel Company workers protest, more than 42 workers have been arrested. The names of 10 more people are as the following: Hossein Asakereh, Meisam Al-Mahdi, Seyed Majid Mousavi, Amir Dehghan, Ahmad Bavi, Behzad Alikhani, Seyed Mostafa Mousavi, Majid Jalali, Arash Mohammadpour, and Behzad Shahbazi. 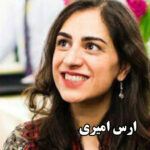 (2) Sepideh Gholian, a social rights’ activist, was released on bail. She looks very pale and weak after her release. 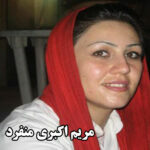 She was arrested on November 18th while she was supporting the strike of the Haft Tappeh Sugarcane workers. (3) A fire broke out accidentally at “Osveh Hasaneh” kindergarten in Zahedan. The fire broke out in a faulty oil stove being used for heating a classroom. Students Mona Khosroparast, Saba Arabi, and Maryam Nokandi died and Yekta Mirshekar is severely burnt. 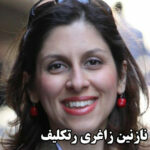 (5) Nazanin Zaghari requested parole but has not yet received any response from the judiciary officials. 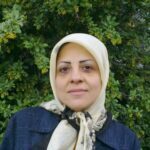 She is a British-Iranian dual citizen who has been detained in Iran since 3 April 2016. She was sentenced to five years imprisonment and has served half of her sentence now. She is also inneed of acute medical care. (6) Two activists, Ansar Advaei 27 years old and Fardin Advaei 24 years old, were released in Uraman District in Sarvabad County and the two others, Hamid Ahmadi and Zaniyar Moradi remain in prison there. The reasons for these four citizens’ arrest, are still unknown. (7) Hamid Ahmadi Maledeh, a juvenile offender who is accused of murder in a street fight was sentenced to death. He has been serving 11 years in the Rasht prison and was transferred three times to solitary confinement for execution but still is waiting on the death row. (8) One of Nasrin Sotoudeh ‘s criminal charges is putting a flower bouquet by the electricity junction box in Enghelab street. 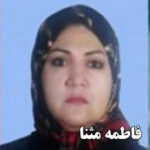 She is a predominant human rights lawyer who has security-related charges. 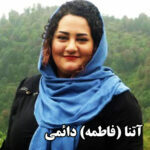 (9) Farokh Abdi, a social network activist who was sentenced to 15 months in prison earlier this year and faced another 15 months conviction from another court in Urmia, was sentenced to five years imprisonment in an appeal court. (10) A construction worker died in Yasuj due to unsafe workplace. (11) According to Reporters Without Borders’ 2018 round-up of deadly attacks and abuses against journalists published on December 18, 2018, Iran still holds its position as one of the five largest prisons for journalists in the world. 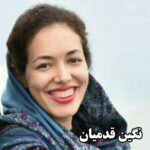 In this year, Hengameh Shahidi, Tahereh Riahi, Zeinab Karimian, Saleh Deldam, Morad Saghafi, Ramin Karimian, Alieh Matlabzadeh, Asal Emailzadeh, Bakhtiar Khoshnam, Mehdi Khazali, Abdolreza Davari, Sasan Aghai, Yaghma Fashkhami, Mohammad Mohajer, Alireza Tavakoli, Mohammad Mehdi Zamanzadeh, Saeed Mojtaba Bagheri, Javad Jamshidi, Nima Keshvari, Saeed Naghdi, Ali Ahmadinia, and Soheil Arabi are some of journalists, reporters or citizen journalists who have been arrested in 2018. (12) City service workers of Karun and Zanjan cities have at least six months of unpaid wages. (13) Another labor activist, Aram Mohammadi who was accused of “propaganda against the state” for participating in international Labor Day protest, began serving his sentence today. (14) Mohammad-Reza Khatami was prosecuted because of his claims in an interview with Aparat (a video sharing service) that a voter Fraud was observed during 2009 presidential election. (15) Retired personnel of various governmental organizations held protests in Tehran and other cities for their financial hardship. Human Rights Activists News Agency (HRANA) – Farhad Meysami has not had a single meal, or any food at all, for 50 days and counting, as his health condition continues to deteriorate. A civil rights activist imprisoned in Tehran’s Evin Prison, Meysami announced his hunger strike August 1st, one day after his arrest by Iranian authorities, in protest of their refusal of the attorney of his choosing. Despite the decline of his health during the hunger strike, authorities have yet to send him to a hospital. HRANA reported on Meysami’s weight loss and poor physical state on September 8th. Mohammad Moghimi–lawyer of fellow Evin prisoner Reza Khandan, and incidentally, the attorney Meysami would have appointed if given the choice–said his client called him from Evin to report that Meysami’s strike had put him in mortal danger, and that he needed a transfer to the hospital right away. 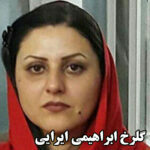 Moghimi said that authorities’ denial of Meysami’s attorney of choice puts them in conflict with Iranian law. Once initial interrogations are over, each prisoner has a right to a lawyer of his or her choosing, according to Moghimi’s reading of Article 48 of Iranian penal code. Meysami, who suffers from ulcerative colitis, has said that during his hunger strike he will take only the medication that treats this condition, as he has taken for the past 18 years. Meysami has previously said that he would break his hunger strike only if his friend and fellow inmate Reza Khandan, who was arrested after Meysami’s hunger strike began, is released unconditionally. Human Rights Watch and Amnesty International have both asked for Meysami’s release. Human Rights Activists News Agency (HRANA) – The health condition of Farhad Meysami — who declared hunger strike the day after his arrest on July 31st in protest to his detention and the denial of his right to a lawyer of his choice — is in steady decline. Suffering from intestinal colitis that he has been treating with medication for the past 18 years, Meysami has announced that his diet will be limited to that medicine, and will only end his hunger strike if Reza Khandan, the husband of imprisoned lawyer and human rights defender Nasrin Sotoudeh, is unconditionally released. 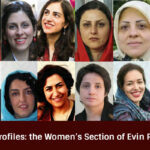 Meysami was arrested by security forces in his personal library on Tuesday, July 31, 2018, and during his interrogation was charged with “Collusion and conspiracy to threaten national security,” “Disseminating propaganda against the regime,” and “Insulting the hijab, an essential sacrament of Islam.” On Monday, September 3rd, Branch 7 of Evin Court added “Propagation of corruption and decadence” to his charging document. 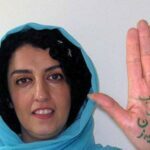 Human Rights Watch previously issued a statement in which they mentioned Meysami’s ordeal, asking Iranian authorities to stop the repression of human rights defenders and immediately release those who are being persecuted for their peaceful expressions of dissent. Amnesty International also appealed to Iranian authorities, opposing their crackdown on civil society and unlawful detention of lawyers and human rights activists including Farhad Meysami. 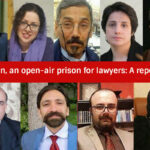 They demanded these prisoners’ immediate release, and that authorities provide every detainee with access to a lawyer of their choice at the time of their arrest.